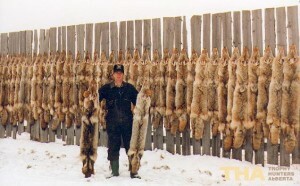 One of my favorite blog sites is “Coyotes, Wolves, and Cougars Forever” operated by blogmaster Rick Meril. “Well that hunting magazine, Grand View Outdoors, has done it again! In an article titled “Explaining USFWS (US Fish and Wildlife Service)’, HSUS’( Humane Society of the U.S) War Against Predator Hunting”, the author [ Judd Cooney] proceeds to lambast these two entities for what he calls their “unscientific” and biased resistance to uncontrolled predator hunting. He then proceeds to fill his article with unscientific and biased reasons why we should eliminate … predators, especially wolves! His inaccuracies are too many to cite them all but I do offer a rebuttal to a few of his more outlandish statements. The most glaring … is his insistence that 20,000 plus elk in Yellowstone Park were first of all a stable and second a desirable population level for the Park! All who knew Yellowstone before wolves agreed that the elk were far from stable and that these many elk were killing the Park ecosystems! The rejuvenation of the park after wolves is evidence to that! He also failed to mention that back when humans killed elk in the Park to control them, most hunters also gladly agreed there were too many elk, because they then got a chance to kill them! As for the tourist dollars supposedly lost, those have been clearly made up by increased dollars to come and see wolves…alive! [Author Judd Cooney’s] examples from Alaska are also bogus and he obviously does not want to be bothered by “facts” and “reality”. Does he not realize that before white people came with their logging, their sports hunting, their building homes everywhere, there were plenty of caribou and moose AND wolves! What changed? Did wolves get more efficient? I doubt it. 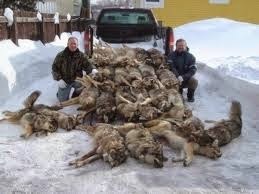 The problems they are having in Alaska are not from the wolves, they are from the people that have moved there! This is in fact the situation worldwide before humans “managed” these systems! Now after millennia of prey AND predator abundance, there is a problem with predators? What reality does the author live in? It is the mismanagement of wildlife and the massive habitat alterations that are occurring, with the blessing of hunters, that are impacting wildlife in Alaska! 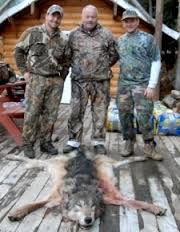 It is rightfully so that the National Wildlife Refuges of Alaska should NOT be controlled by a bunch of biased hunters, guides, trappers, and other political hacks that constitute only 12% of Alaskans [who] hunt !, and have a vested interest in running Alaska simply for their economic gain! These groups have time and time again demonstrated they know less of how nature works than “doctors, lawyers, and the like”, or…the rest of us! “Why should we run the natural world for less than 5% of the population? Where are “Sister”# 1 (The Public Trust) and Sister #3 (Democratic Rule of Law) of the (NAM)? Where is the public trust (Sister #1 ) and what is democratic (Sister #3) about just 5% of the population having the only say about wildlife that is supposed to belong to ALL of us? Why does Grand View Outdoors Magazine feel justified in calling for a repeat of our 19th century slaughter of both hoofed browsers and carnivores? [The magazine’s] brief mention of predators and livestock shows its complete ignorance of the situation concerning predation on livestock. 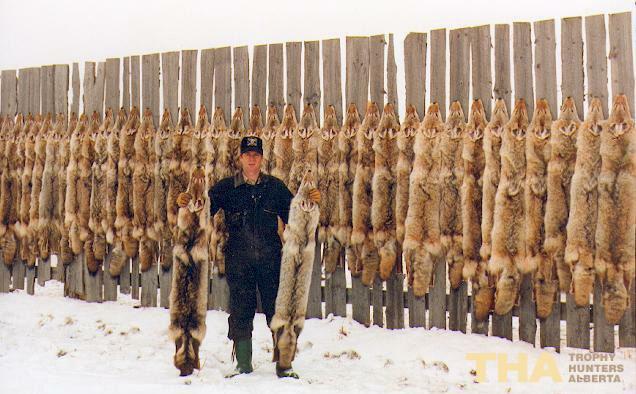 Livestock losses from predators are minimal (less than 1% for cattle) and only rarely do coyotes do the “human” thing of killing more than what they need. Ranchers lose more head of livestock to poor husbandry and rustlers! Read the chapter on predation effects on livestock in the book “Animal Welfare in Extensive Production Systems“ to get a balanced unbiased view of just how serious predation is on livestock. It is not! Lords of Nature. A powerful video narrated by Peter Coyote, Green Fire Productions has created a captivating documentary that goes behind the scenes with leading scientists to explore the role top predators play in restoring and maintaining ecosystems and biodiversity. What Happens When The Top Predator Is Removed From The Ecosystem? OMG!! This article filled me with grief! And sadness that educated (supposedly) people cna be so ignorant! 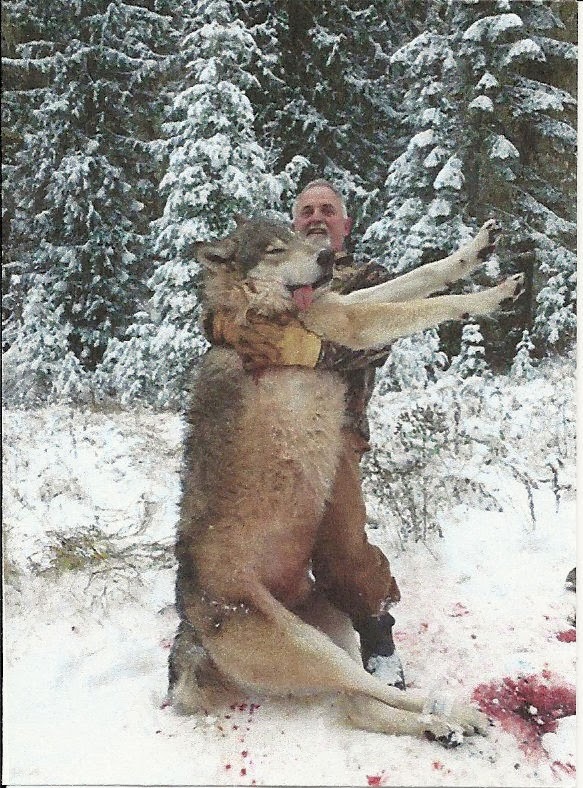 They probably think somewhere in some man’s bible it says to go kill every creature….forget it is one of My creatures. Just go and kill everyone you can and know yourself to be a proud, real man! Those photo’s just tore me up so much and broke my heart. Where to begin to displace their ignorance and fill in the blanks with understanding, true understanding and respect for all creatures. Of course not only in this case but all across the board. People who torture cats, dogs,turtle, flies and farm animals! They know not what they do…..and how do we get them to understand. “Two wrongs, do not make one right”. If they really understood I certainly hope they would change. As always, Bill…..thank you for all your efforts to enlighten many, in many different areas! Bless you and protect you on your path!